Where are the Best States for US Businesses in 2019? Utah ranks among the best places for businesses in 2019 based on an analysis that evaluated each state’s GDP growth, average salaries, quality of talents and venture capital deals. The Beehive State ranked third-best overall just behind Colorado and Massachusetts. Utah is not exactly on top when it comes to the four categories, but an increasing volume of inter-state migration helped in driving the available supply of skilled professionals. 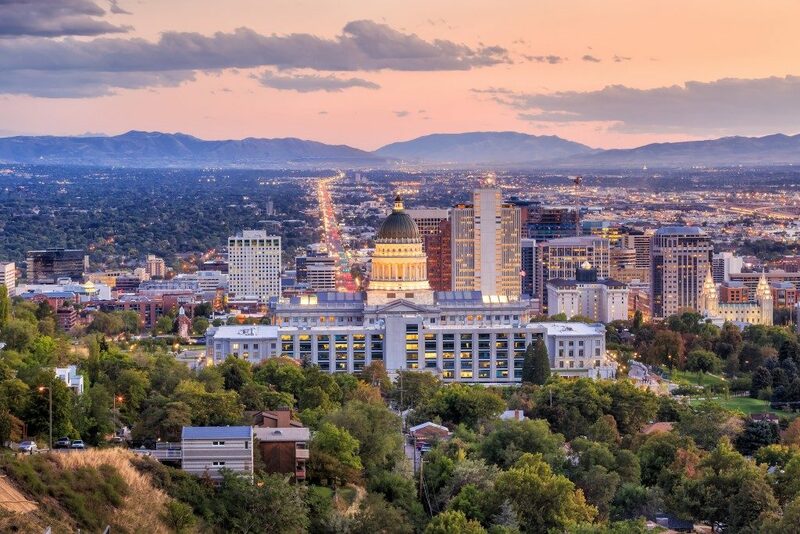 Tech companies, in particular, have shown more interest in taking their business in Salt Lake City, as indicated by commercial real estate leases from the sector in 2018. Rental rates in the city, despite being expensive for some businesses, remain cheaper for IT businesses than the asking prices in Silicon Valley. Cushman & Wakefield said that tech firms pay around $24.31 per square foot in Salt Lake City. It is not surprising then that the industry accounted for over 66% of all office leasing activity in 2018. A growing Millennial population also serves as another reason. Those who are between 23 and 28 years old make-up around 21% of the city’s population. Office rental prices in Utah could be much higher because of the growing number of companies that require commercial space. Shared offices and co-working units have been available to provide them with an alternative choice. These properties may include the usual furnishings like desks and cubicles. In Salt Lake City, you could either lease property for your own office or simply choose a flexible office where everything is already set up. While demand for offices led to more expenses rents, Utah’s advantage lies in its growing workforce. Businesses will have more options for choosing candidates between 2020 and 2030, when the number of working-class adults will increase by more than 15%, according to the analysis. What Qualifies as a Good Place for Business? Aside from the pool talents, the state is considered to be among the best places because of relatively high average salaries. Utah’s annual median wage costs more than $50,600. It is the 15th lowest in the country, although the actual compensation of many individuals depends on their chosen industry. Economic growth in the state ranked as the 12th highest at 2.5% over the previous year, while it has the eighth most number of venture capital deals at 3.4 per 100,000 people. Venture capital transactions could be higher in Salt Lake City since tech companies have been keen on doing business there. Massachusetts outranked any other states because it had the most number of venture capital deals in 2018 at 9.6 per 100,000 people The state also has the most number of people with a college degree, which comprise 43.4% of the entire adult population. Once you have decided that Utah is the best place for your business, you will need to choose whether to rent your own office or sign up for a co-working space. If you prefer the former, consider purchasing office equipment online to save money.